Great night celebrating the wedding of Mr & Mrs Huntington at the Clifton Arms hotel on the sea front at Lytham St Annes. They hired wedding DJ Andy B to host their evening reception. They also had a band made up of guests who played a few songs. We provided audio/technical support for that too. 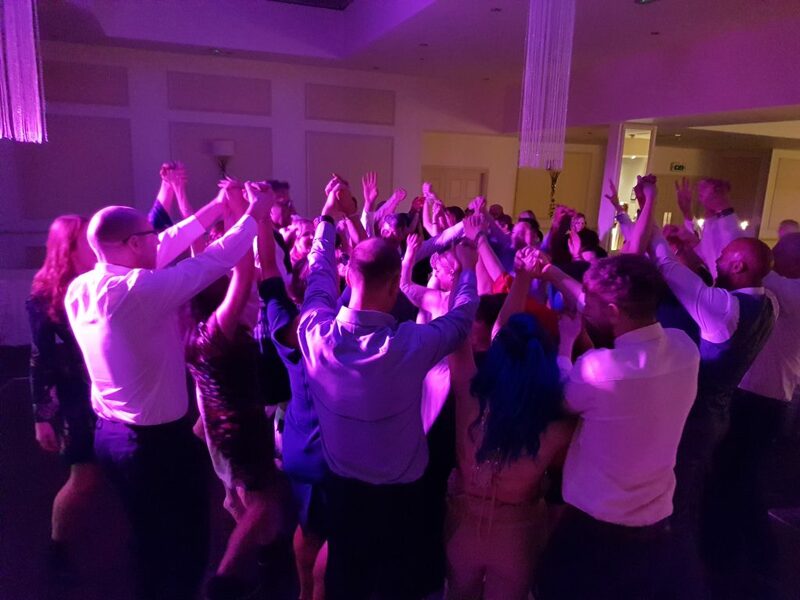 They bring a modern sound & light show, carry a comprehensive selection of music & will be able to cater for most requests on the night, which is something they encourage. Beforehand, we’d put you in touch so that you can go through specific requests & running order for the evening. You can have as much pre event communication as required to ensure we get it just right on the night. To cover up to 5 hours (7pm till 12am for example) is £250 based on the DJ arriving approx. 6pm to set up. Any additional time is £40 per hour. 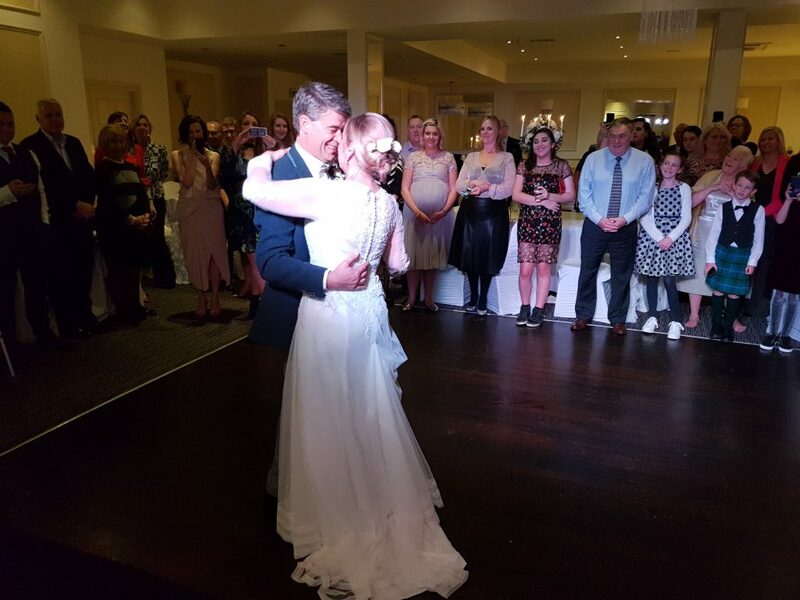 So, if you’re celebrating your Big Day in Lytham & would like some further information on our DJ services &/or to check availability, email your enquiry to andy@andybevents.co.uk remembering to include the date & venue details. Of course the Clifton Arms is a lovely wedding venue, but we can also supply anywhere on the Fylde coast & throughout the North West.